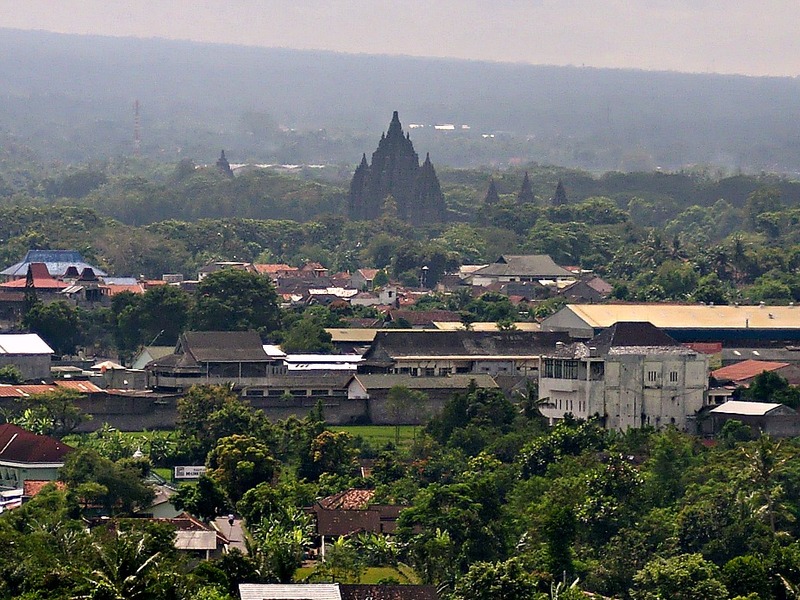 Just half an hour drive from the city proper of Jogja lies the Prambanan temple. Renowned for its beauty, foreigners and locals alike flock this temple – the overwhelming number of people was no surprise! Thankfully, there were two ticket booths: one for foreigners and the other was for locals, yet one has to pass by the local ticket booth for the main entrance. The Indonesian lady from which we bought our tickets was kind enough to lead us to the free shuttle van to Ratu Boko, another site of palace ruins near Prambanan. Ratu Boko was not exactly very near Prambanan. In fact, it took us more than a quarter of an hour to arrive there, and when you see Prambanan from Ratu Boko, it seemed really, really small. 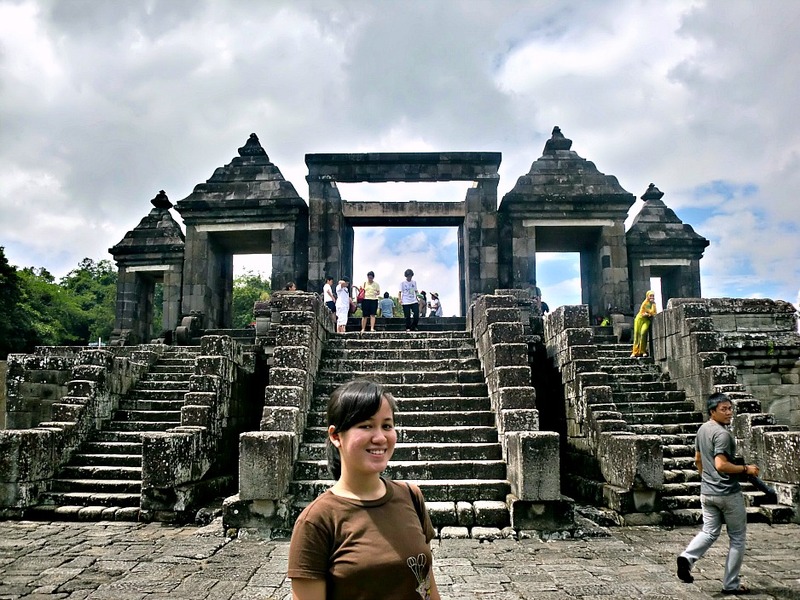 Ratu Boko was presumed to be a palace, yet hardly anything remained standing until this day. It’s quite difficult to imagine how grand this former palace was based on what it was when I saw it. There was really nothing but blocks of stone pieced together, some even just scattered on the ground. The most remarkable structure was that of its gate, where doorways welcome you to the compound. But once you look beyond what it is now, and realize that you’re actually standing on top of a hill whose roads are still rough to this very day, you’d appreciate how those stones just went up there and built a palace. I’m pretty sure it’s not the grandest palace in the world, but considering that it was built way before men invented cranes and jackhammers, it’s incredible. 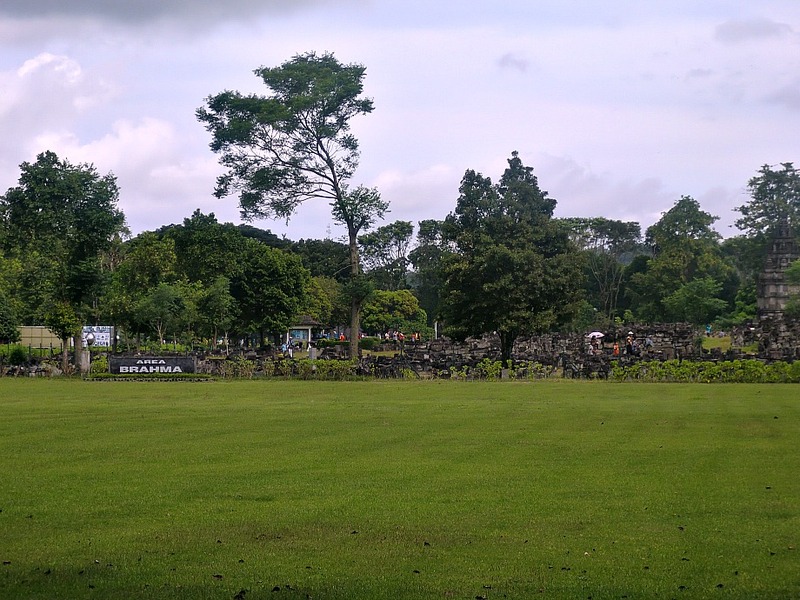 Besides, in Ratu Boko, you can grab a lunch from the restaurant overlooking Prambanan (though Prambanan is quite small from this distance) and the green Jogja countryside while listening to traditional music. It was indeed quite an experience! Back to Prambanan, amazingly, there were not a lot of tourists anymore. Sure, when we first arrived here, there was like a flock of students on a field trip, but the crowd now mostly consisted of foreigners. We grabbed a mandatory shot of our family with the temple as a background, and we went closer to the temple. However, it’s ironic that I appreciated the temple less as I got nearer. I was impressed, but not as thrilled as when I was far away from the temple. 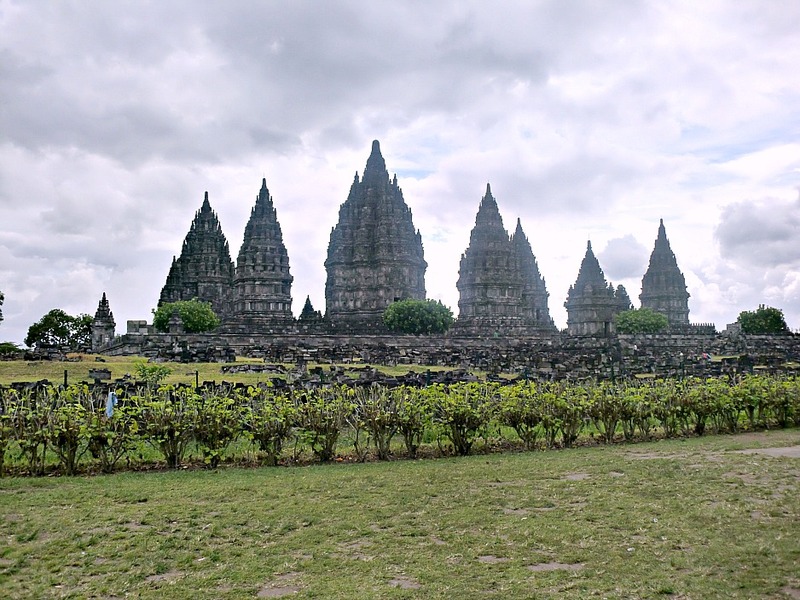 The Prambanan complex was comprised of various temples, the biggest of which was dedicated to Shiva. The area on which the temples stand was not big, yet the temples were grand both in size and in detail. After going around the main complex, we went looking for the exit. We knew that the real exit was far from where we stood, so when we saw a tram, we instantly thought of riding. To which the lady replied, “Lima ribu”. I was already pulling money from my wallet when my parents saw the sign that foreigners get a free ride, while locals had to pay for theirs. Ha! I could pass as a local! I was loving the idea that I was somewhat speaking Bahasa, even if I hardly know it. The tram brought us to other nearby temples, including Candi Sewu and Candi Bubrah. We decided to skip seeing these in fuller detail, since the heat was too much to bear, and my father’s gouty arthritis was preventing him from walking properly. 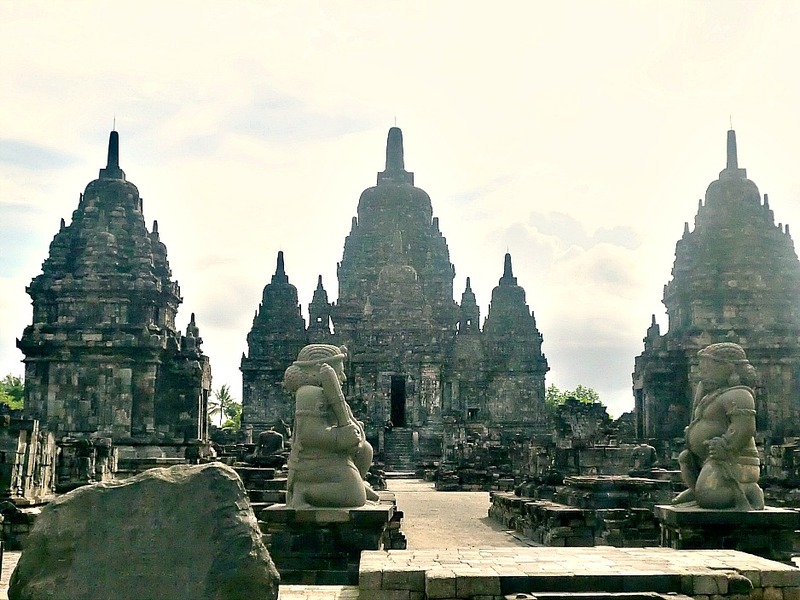 As our tram ride ended, so did our Prambanan trip. Borobudur would be next!